Speaking in Salem, Rahul said his party's poll manifesto had a better choice for entrepreneurs wherein they would take permission only after their business was established. He said, “He (PM Modi) gave you an empty slogan of Make in India but wherever we look, we see Made in China products.” He added that now he wanted to see ‘real made in India’ and ‘real made in Tamil Nadu’. Rahul spoke about the high rate of unemployment in the country and alleged that the PM had hurt them in the past five years, giving “huge amounts of money from the banks to the richest people but not to them”. Sharpening his attack on the PM, Rahul said that when farmers from Tamil Nadu went all the way to Delhi to protest at Jantar Mantar, PM Modi did not speak to them. “They have to take off their clothes and still, he does not pay any attention. He does not have the decency to call them and ask them why they were upset,” he alleged. Yet, he said, PM Modi “hugged every single corrupt businessman”. 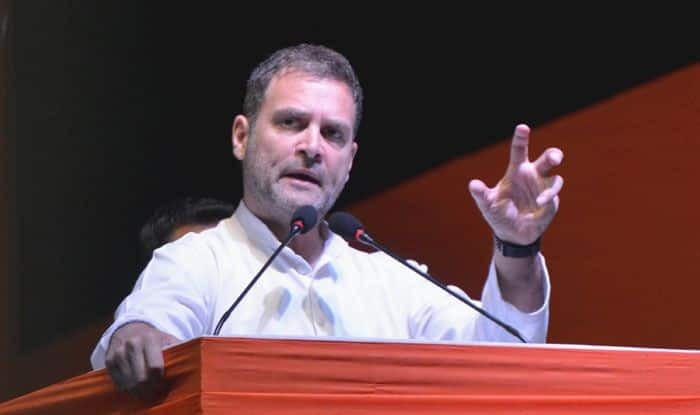 On his pet peeve, the Good and Services Tax (GST) which he calls ‘Gabbar Singh Tax’, Rahul said it comprised five different taxes and a tax rate of 28 per cent wherein “even weavers had to pay tax if they had to buy thread or material”.